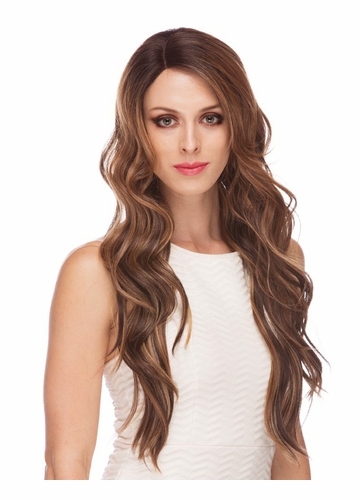 Very long layered lace front wig with slightly to the side part. 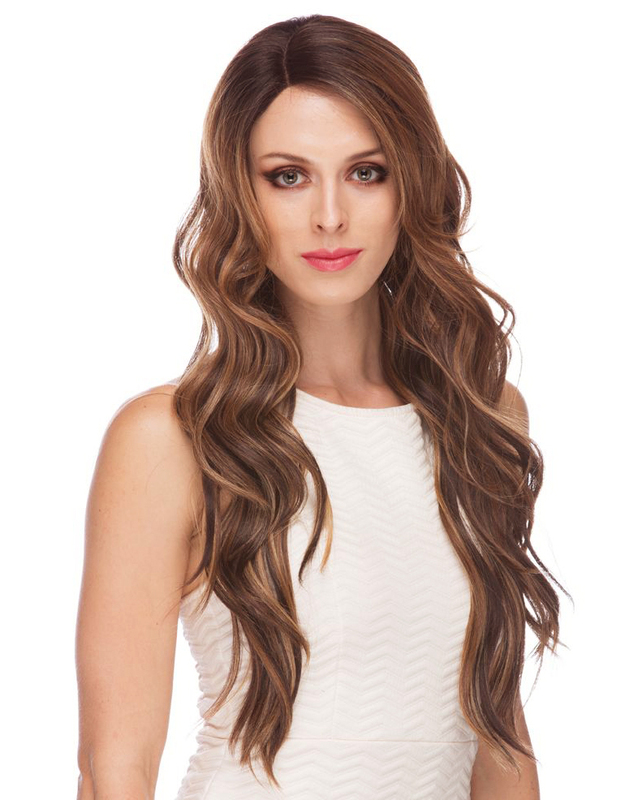 Premium quality adult size wig in silky radiant synthetic hair fibers. Model is wearing this wig in brand new custom blend of brown crown and ombre medium brown, auburn and strawberry blonde tips (SOM7002). 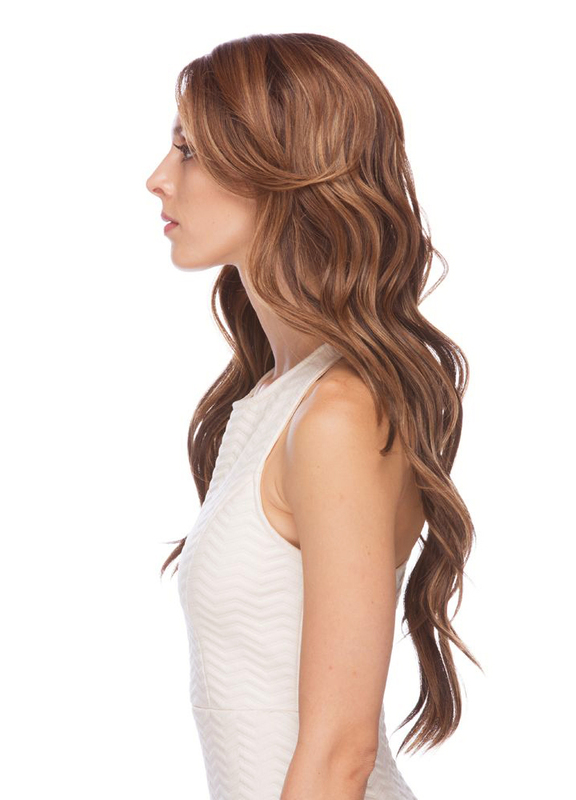 This wig starts darker at the roots with lighter layers added to length. Most volume is in the layers framing the face and shoulder length, the longest layers are at 29" long. Pin down style for secure and comfortable wear. 4 combs, 3 in the front, on in the back.